Get paid by customers at the due date of invoices is vital for any business. This is the main objective of Credit Management department. The use of collection scenarios (also called collection process or workflow) adapted to each situation provides the best results and allows to improve your company's cash and profitability. As the objective it to get paid for the due date of the invoice, the first dunning action takes place before the due date to ensure that nothing shall prevent the payment of the invoice and to get a promise to pay. This action allows to identify early a dispute (administrative, quality issue ...) if any in order to resolve it as quick as possible. If payment is not made at the promise date, collection actions are getting stronger as the time passes in order to push your client into a corner and maximize your chances to be paid. In the opposite case and if you don't manage to get paid, these reminders will be a proof of your good faith during a legal procedure against your customer. The reminders must be neutral and professional and thus contribute to increase the credibility of your company. Ideally, they are carried out by a specialized collection department. A lax recovery process is harmful and does not allow to preserve the commercial relationship. The same rule applies to mass reminders (letters - standard e-mails sent indiscriminately to all customers) that do not increase the probability of being paid and may decrease your credibility. Cash collection is central in My DSO Manager. The Saas software allows to apply several collection scenarios according to customers' type and to manage actions to do in a collection agenda. The tool dynamically creates dunning templates (e-mails, letters, SMS, ...) for each customer that can be created in the settings and customized when you send them. It also offers innovative features such as interactive e-mails and automatic actions. Following the customer feedback, a status and a comment are associated with the invoices, thus allowing a traceability of all the exchanges with your customers. See more with the online demo. The collection process is based on the due date. It defines a time frame in which the amicable recovery is carried out. It has a beginning and a end that occurs when the invoice is paid or in case of contentious after the sending of the formal notice. It consists of a succession of phases: pre-dunning, level 1, level 2, level 3, which are more and more firm and formalized as time passes. The collection process is a framework in which the collector has some flexibility based on his interactions with his client. However, any "friendly" recovery process has a end. In case of unjustified unpaid beyond level 3, the amicable action ends to become contentious. The search for the right customer contact is an essential condition for the effectiveness of the recovery actions. The right interlocutor is someone who will be able to bring information, solve internal problems, and validate the payment. In some cases, there can be several "right interlocutor" when invoice validation must go through a long validation process. Be courteous and factual in all case with your late customers while becoming stronger as the delay of payment increases. Keep a written history of all your reminders. This will allow you to be more relevant on the dunning sequence and to remind your customer of his previous commitments. Moreover, you will have to provide proof of your reminders in case of legal action opened against your customer for unpaid invoices. The phone and emails are the most effective communication mode to chase up your customers. However, each agreement / commitment must be confirmed in writing (email, letter) in order to ensure that the buyer is on the same level of information. If he doesn't respect his commitment, dunning letters with acknowledge of receipt has to be sent to put pressure on him and to formalize the collection action. The bad faith of the debtor or the insolvency and cash flow problems are not the only root causes of unpaid bills. An important part is due to problems that must be solved: administrative or quality disputes, communication problems, etc. In this case, the objective is to clearly indentify and resolve the problem as quickly as possible before requiring the payment again. How to avoid late payments? The negligent payer, still waiting to be chased up to pay. A quick reminder (ideally before due date), commercial oriented, has to be done. The bad payer, trying to win few weeks (or months) of cash by delaying the payment of bills. Chase him up firmly at short intervals to make him understand the seriousness of your management. Quickly send a formal notice as simple stimulus will have no other effect than to convince him that he still has time before paying. The insolvent payer, can not pay you for the time because its financial difficulties. Be demanding in your recovery and even accept a schedule of payment (always with immediate partial payment). Suppliers least present in the collection will be the last to be paid! The administrative payer, which includes many large public and private structures. Administrative complexity "drown" your collection. The letters sent arrive nowhere ... etc. Make the effort to understand the internal invoices validation process. Tie relationships with key people who will help you in resolving nodes that are sure to delay the regulations of your bills. The "dispute" payer, which invokes a systematic dispute valid or not to avoid paying your invoices. Be accurate in your recovery by providing timely evidence of the due date of your bills. Then proceed without delay to the higher speed (letters with acknowledgment of receipt) to make him understand that you are not fooled. The automatic payer, with whom you accept a payment method type automatic direct debit. No recovery action is needed except statements of account to be sent before due dates. The good payer, the payment will automatically arrives the day of the due date of your bills, or even before. In this case the recovery is unnecessary. Invoice template including all needed type of information. Aging balance on Excel based on the list of accounting documents (invoices, credit notes... etc.) of the customers accounts. The tool automatically formats a dynamic ageing balance for organizing its cash collection. Collection letter prior due date template in portuguese. Soft letter to be sent before the due date of invoices to ensure that the buyer is going to pay on time and that there is no dispute on the invoices. Collection letter prior due date template in french. Soft letter to be sent before the due date of invoices to ensure that the buyer is going to pay on time and that there is no dispute on the invoices. Collection letter prior due date template. Soft letter to be sent before the due date of invoices to ensure that the buyer is going to pay on time and that there is no dispute on the invoices. All type of questions to use during collection calls to customers with for each question type the context in which it should be used and the expected result. Examples of each type of question. How to manage the collection call prior due date to the accounts payable department of the buyer? Structure of a telephone conversation with formulations examples. Dunning letter template level 1 in portuguese informing the customer of the overdue and requesting the payment of due invoices. Dunning letter template level 1 in french informing the customer of the overdue and requesting the payment of due invoices otherwise his account will be blocked for new orders and deliveries. Dunning letter template level 1 in french informing the customer of the overdue and requesting the payment of due invoices. Dunning letter template level 1 in french dedicated to good payers who omit to pay on time. This is a soft reminder for a short overdue. Dunning letter template level 1 in french dedicated to partners who omit to pay on time. This is a soft reminder. Dunning letter template level 1 in spanish informing the customer of the overdue and requesting the payment of due invoices. Full collection kit containing 14 tools from the collection prior due date to the collection level 3 (dispute). Includes 9 dunning letters template, 4 collection tutorial for each step of the collection process and 1 tutorial about type of questions to use in collection calls made with customers. How to collect invoices by phone at level 1? How to collect invoices by phone at collection level 1? Structure of a telephone conversation with formulation examples. Dunning letter template level 1 informing the customer of the overdue and requesting the immediate payment of due invoices. Dunning letter template level 1 informing the customer of the overdue and requesting the payment of due invoices otherwise his account will be blocked for new orders and deliveries. First written reminder requesting an immediate payment including delay penalties. Letter to be sent before financial closing date requesting the payment of due invoices in order to clear the account otherwise auditors may look to the reason of non-payment. Dunning letter template level 1 dedicated to good payers who omit to pay on time. This is a soft reminder for a short overdue. Dunning letter template level 1 dedicated to partners who omit to pay on time. This is a soft reminder. Dunning letter template level 2 in french informing the buyer that without immediate payment of due invoices, his account will be blocked for new orders. Dunning letter template level 2 in french dedicated to Partners with which business relations are good without (normally) problems of payment. Dunning letter template level 2 in french to send to the Project manager in order he releases the payment of overdue invoices. How to collect invoices by phone at level 2? How to collect invoices by phone at collection level 2? Dunning letter template level 2 informing the buyer that without immediate payment of due invoices, his account will be blocked for new orders. Dunning letter template level 2 dedicated to Partners with which business relations are good without (normally) problems of payment. Formal notice template level 3 in portuguese which informs the debtor that without an immediate payment of invoices including delay penalties the seller will start a legal action against him. Formal notice template level 3 in portuguese. This letter is the last reminder before transfering the case to a collection agency for litigation. Formal notice template level 3 in french which informs the debtor that without an immediate payment of invoices including delay penalties the seller will start a legal action against him. Formal notice template level 3 in french. This letter is the last reminder before sending the claim to the credit insurer. Formal notice template level 3 in spanish which informs the debtor that without an immediate payment of invoices including delay penalties the seller will start a legal action against him. Formal notice template level 3 which informs the debtor that without an immediate payment of invoices including delay penalties the buyer will have to pay additional costs due to collection fees. Formal notice template level 3 which informs the debtor that without an immediate payment of invoices including delay penalties the seller will start a legal action against him. Formal notice template level 3. Formal notice level 3 template dedicated to sole proprietor owner. This letter is the last reminder before litigation. How to collect invoices by phone at level 3? How to collect invoices by phone at collection level 3? Template of a payment plan contract letter in french. Using this contract is key when you agree with your customer on a payment due to financial difficulties. It allows to formalize customer commitment. Payment plan agreement template to use to confirm the agreement made by the seller and the buyer about unpaid invoices. It can be considered as an acknowledgment of debt which can be used in case of later legal action. Template of a payment plan contract letter. Using this contract is key when you agree with your customer on a payment due to financial difficulties. Dunning letter template level 2 in portuguese requesting immediate payment of due invoices plus delay penalties due to late payment, according to sales conditions. Dunning letter template level 2 in french requesting immediate payment of due invoices plus delay penalties due to late payment, according to sales conditions. Dunning letter template level 2 in spanish requesting immediate payment of due invoices plus delay penalties due to late payment, according to sales conditions. Easy tool to calculate penalties for late payment according to invoices amount, due date of each invoices and penalty interest rate. This xls tools allows to calculate the amount of late payment penalties in few seconds. 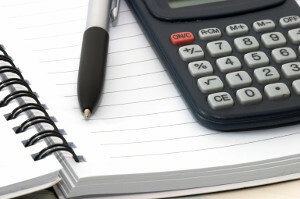 It is possible to do the calcul with invoices not yet paid or with invoices already paid. It is also possible to include a fix fee per overdue invoice. Dunning letter template level 2 requesting immediate payment of due invoices plus delay penalties due to late payment, according to sales conditions. What is the result of 9 3 ? What are the main features of MY DSO MANAGER for debt recovery? Thank you for the quality of the tools!